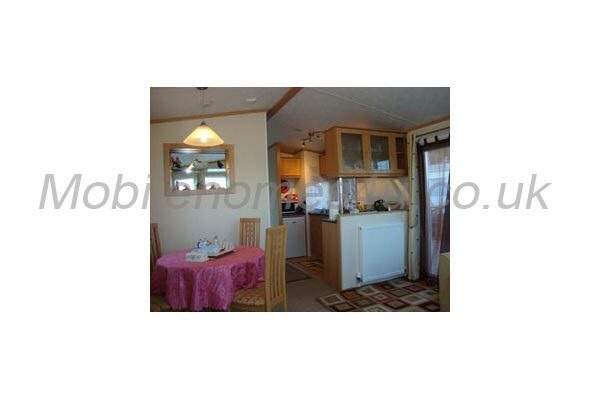 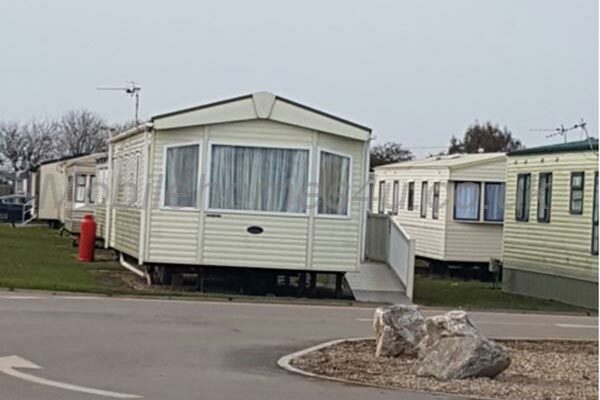 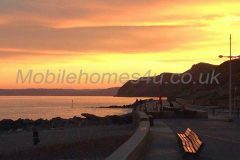 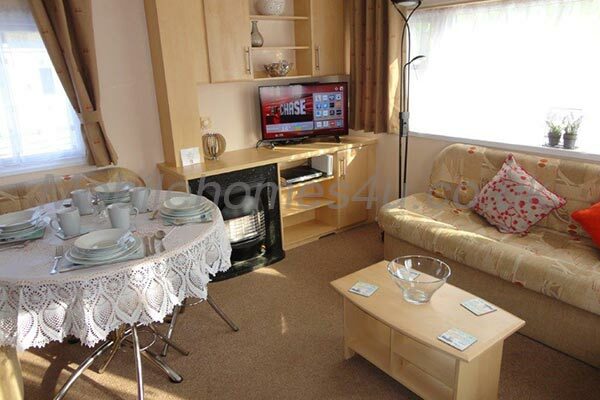 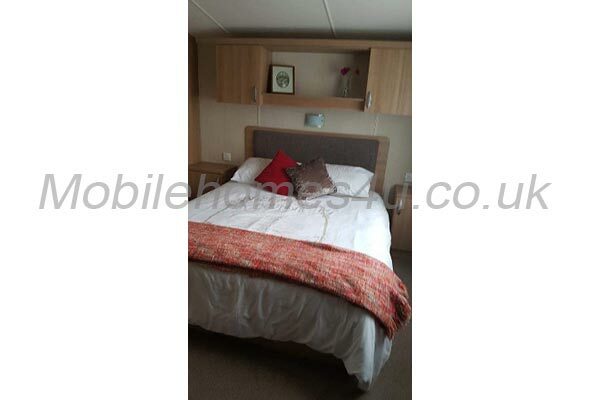 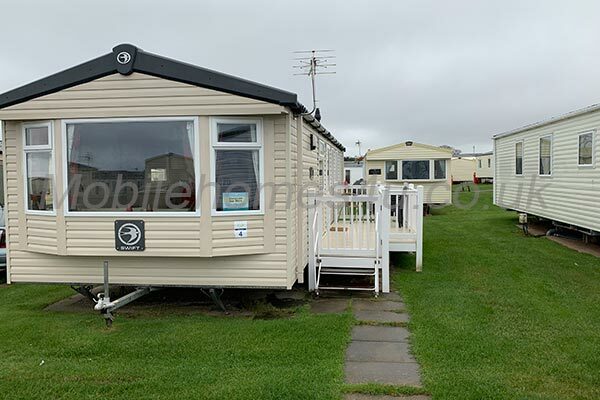 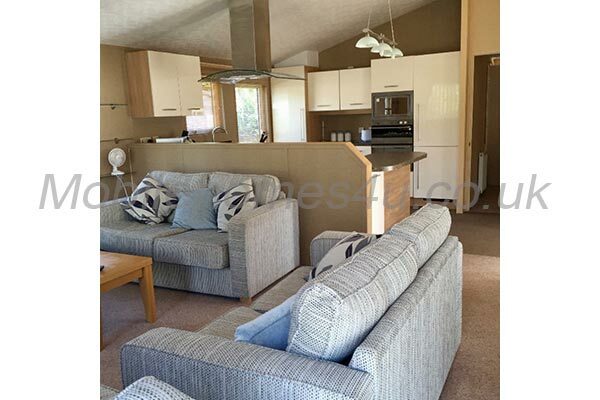 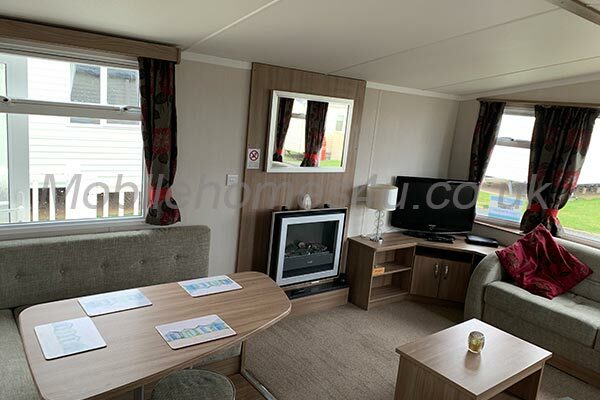 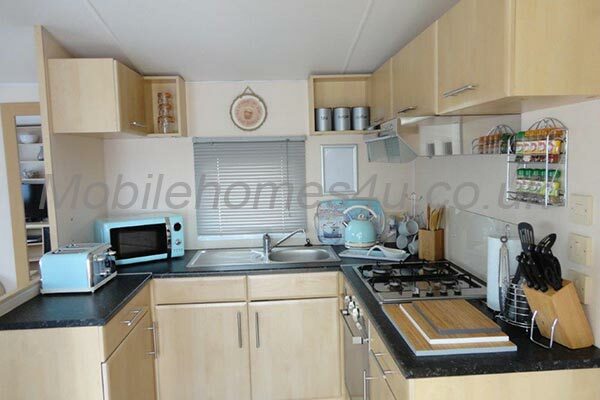 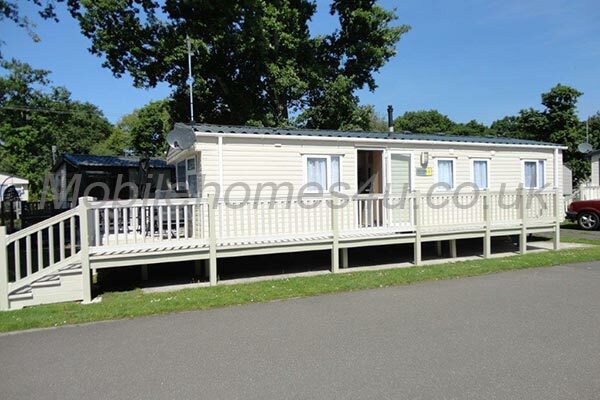 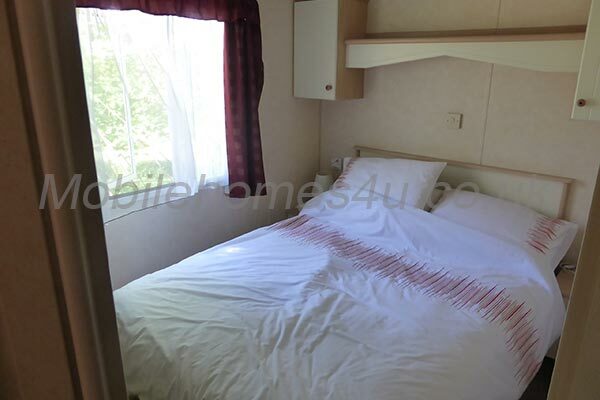 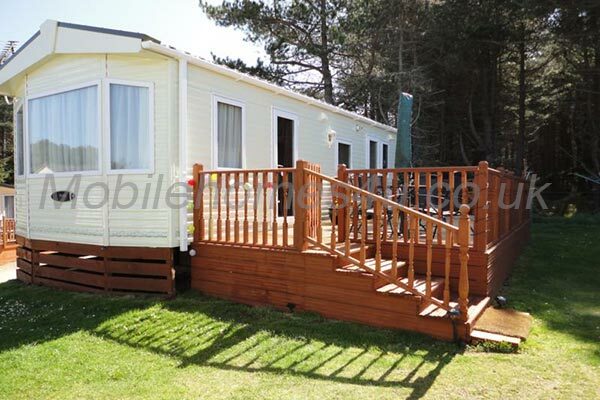 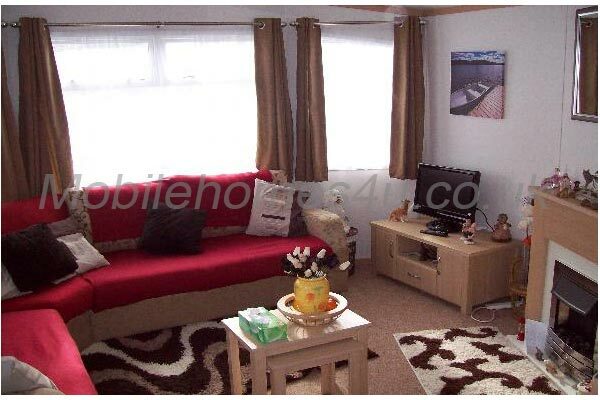 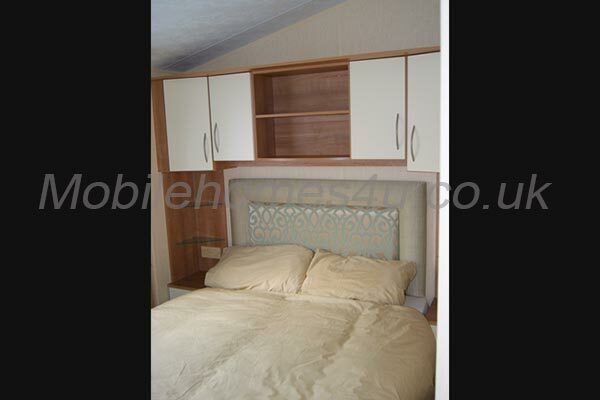 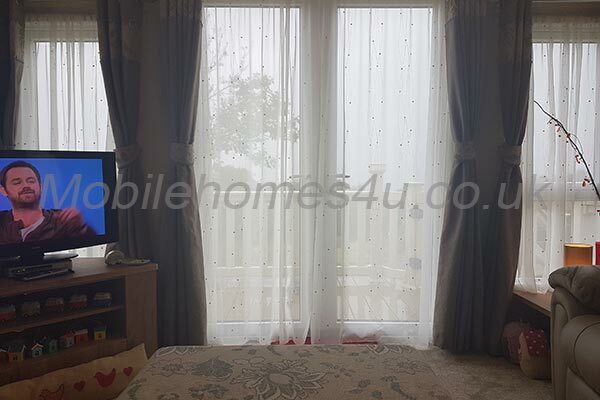 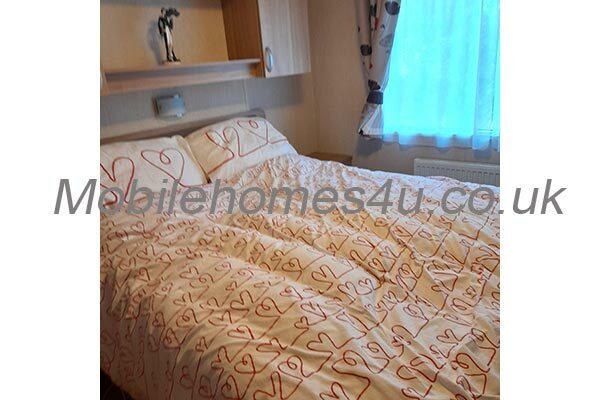 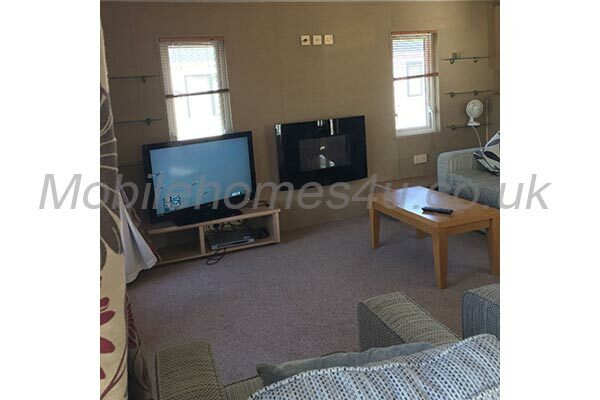 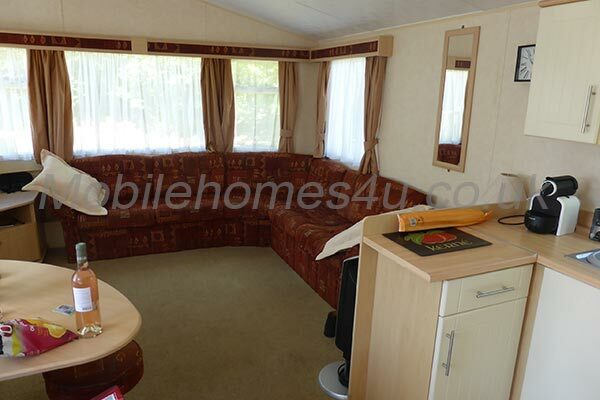 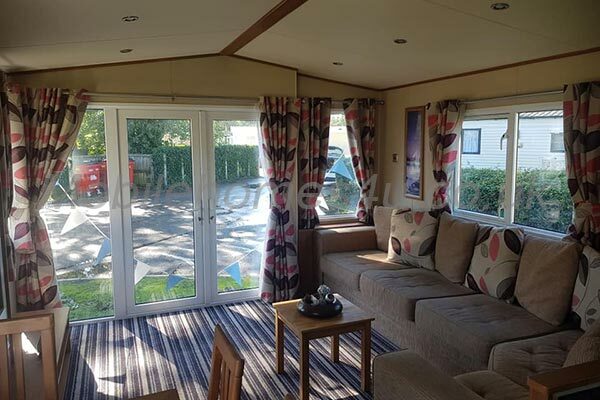 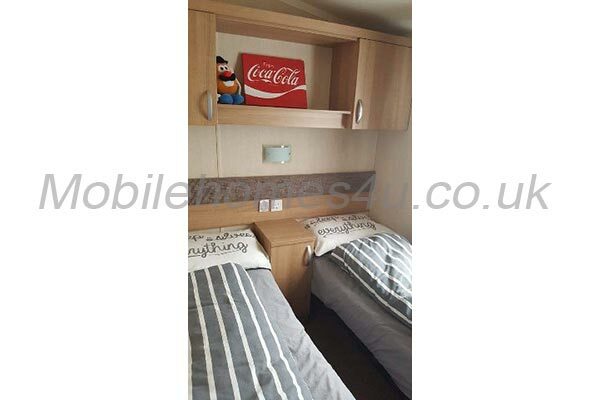 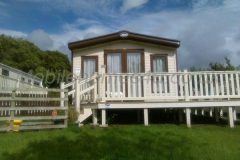 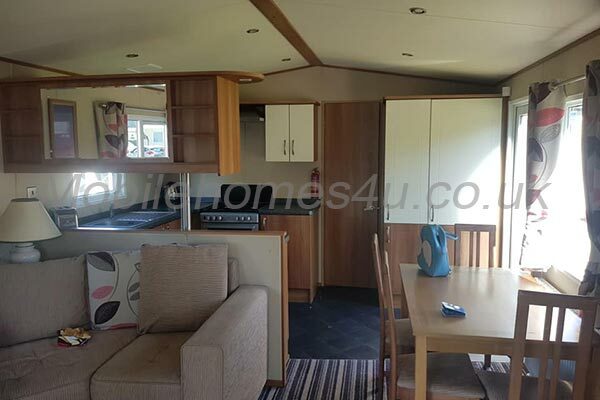 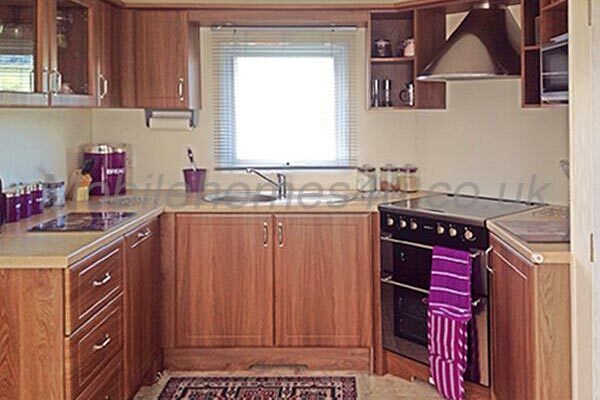 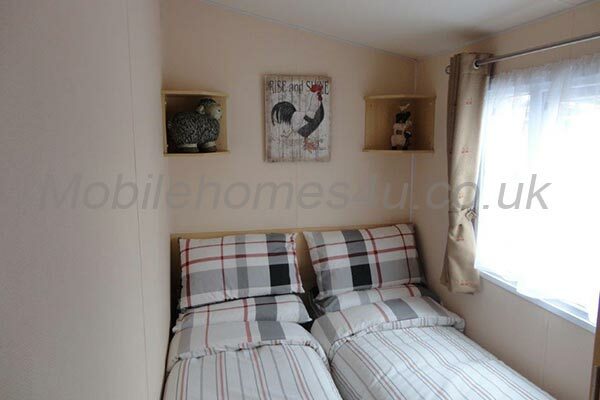 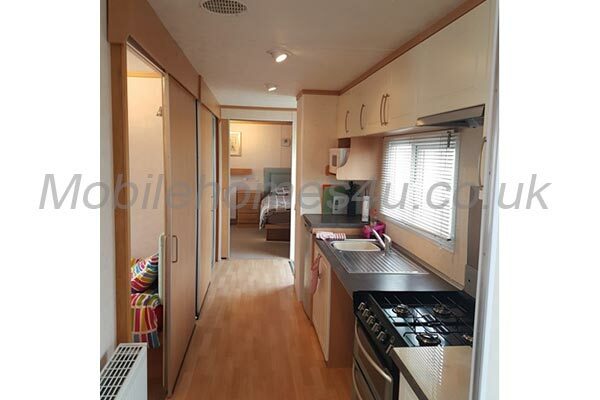 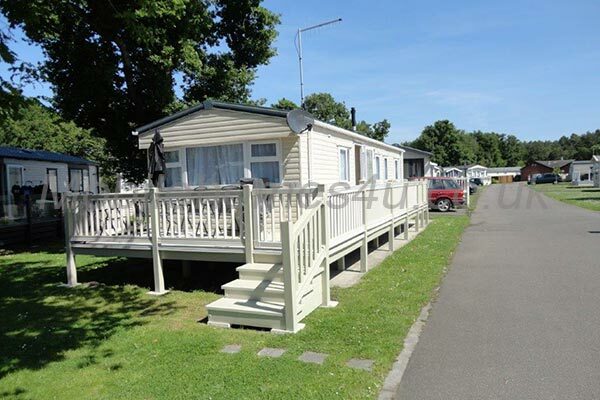 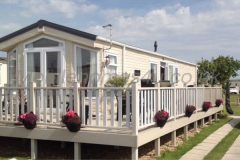 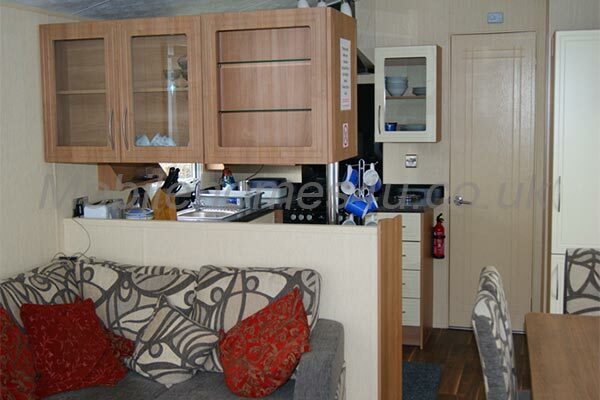 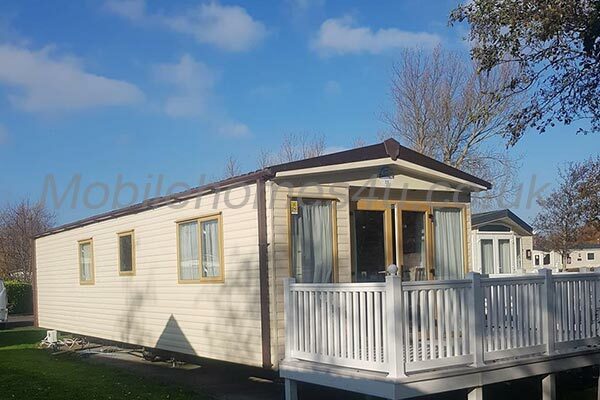 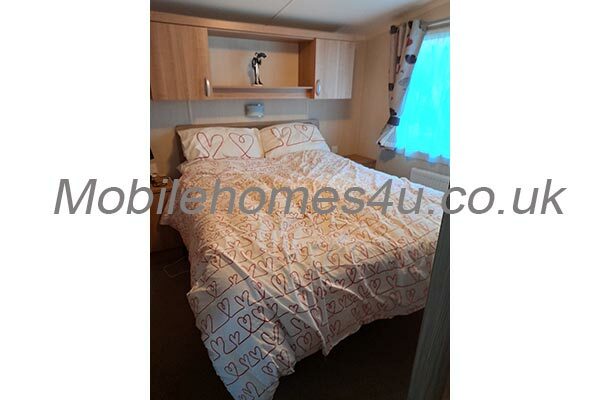 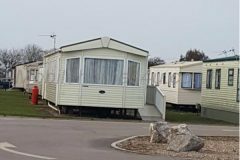 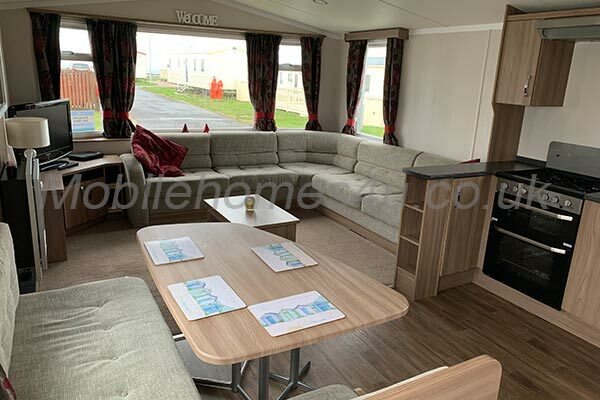 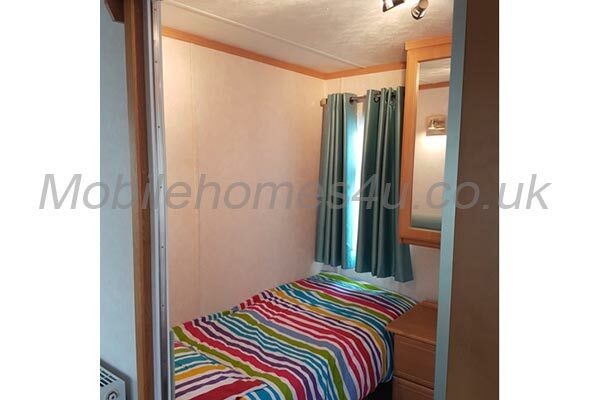 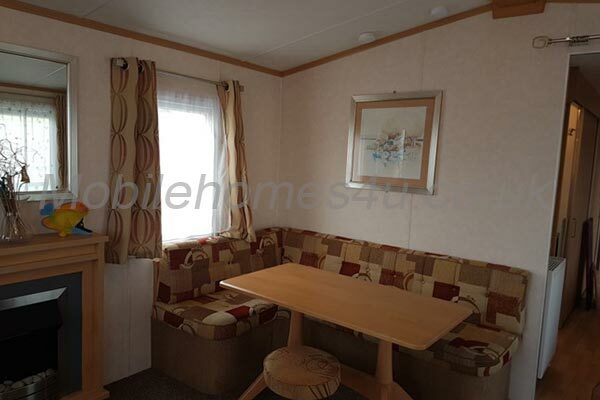 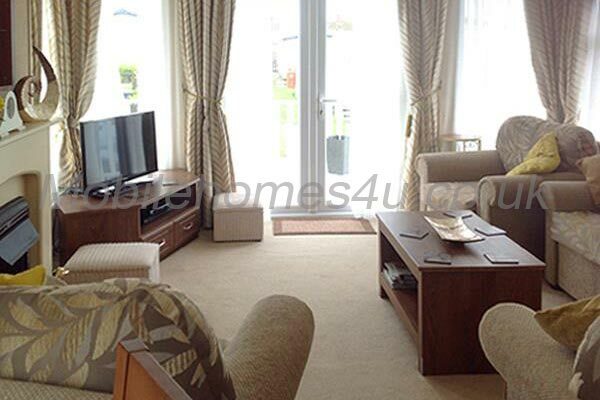 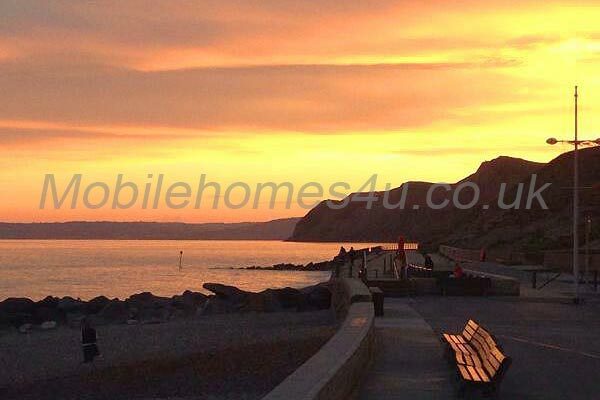 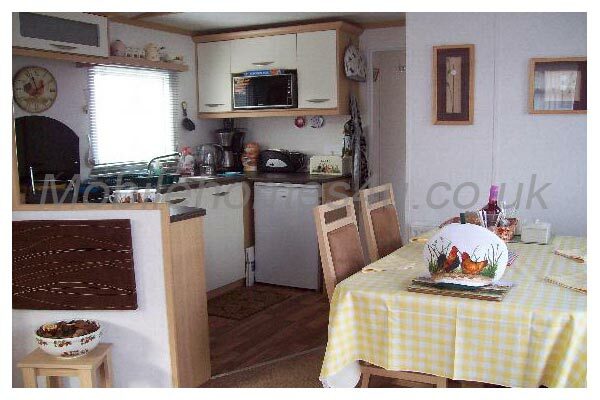 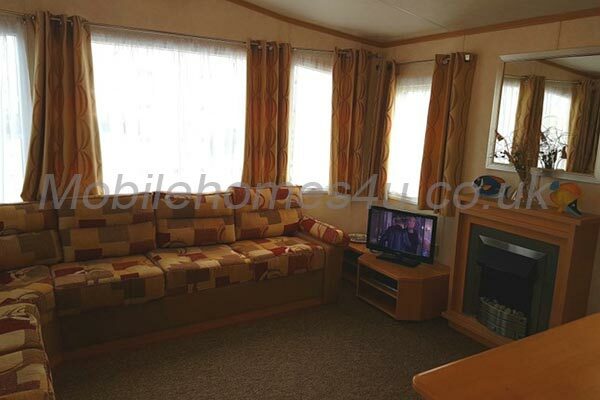 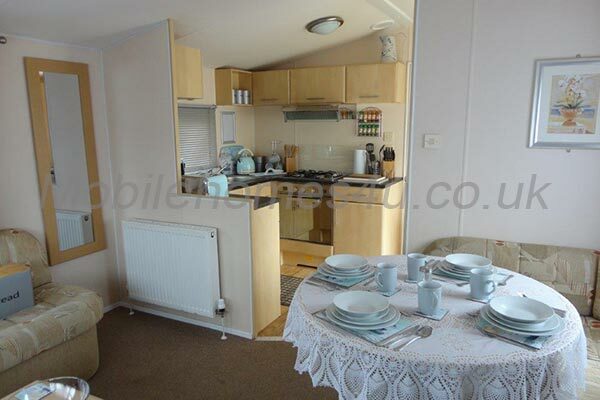 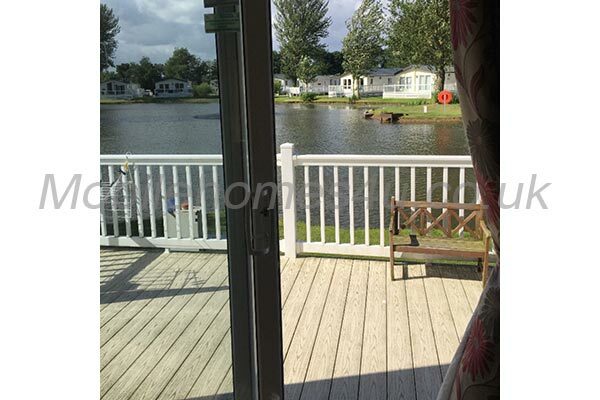 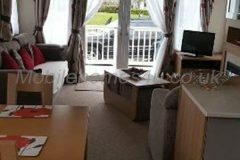 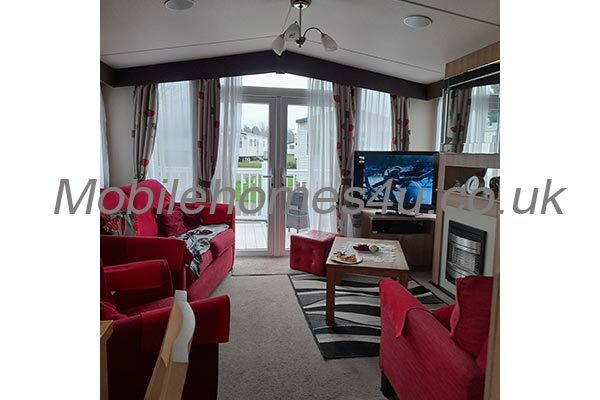 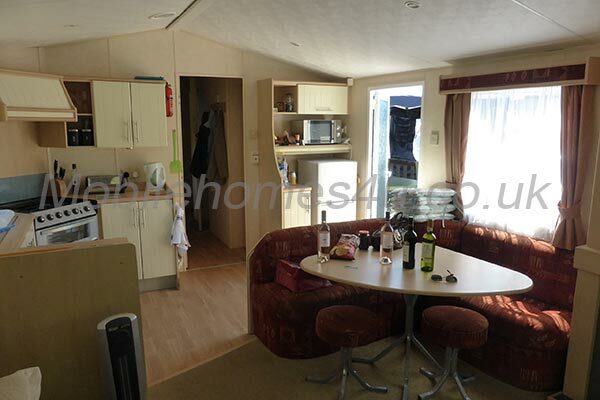 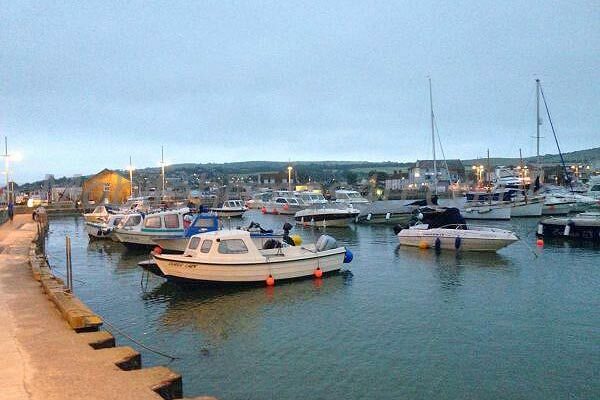 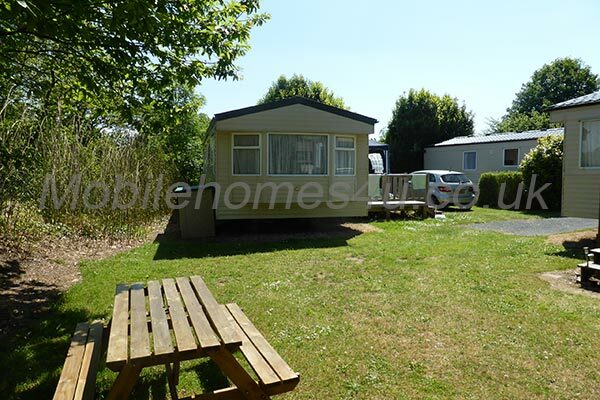 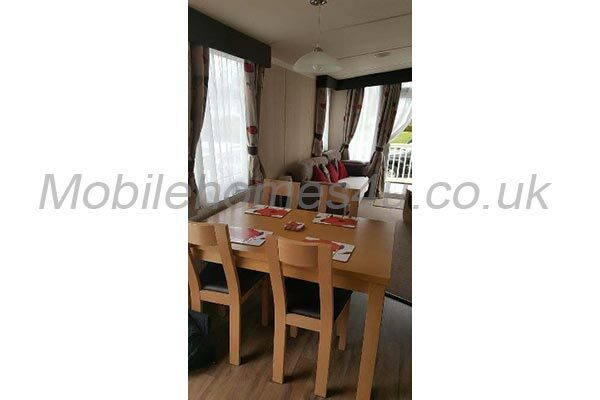 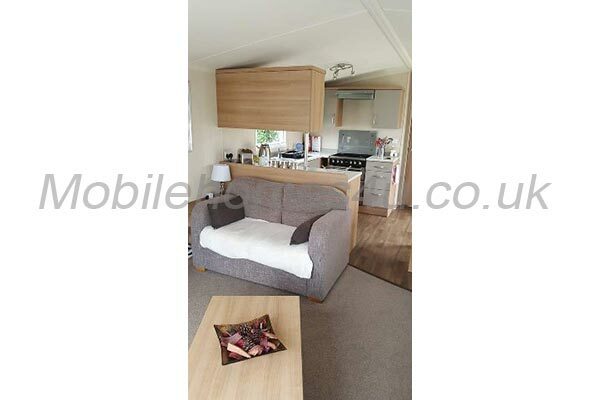 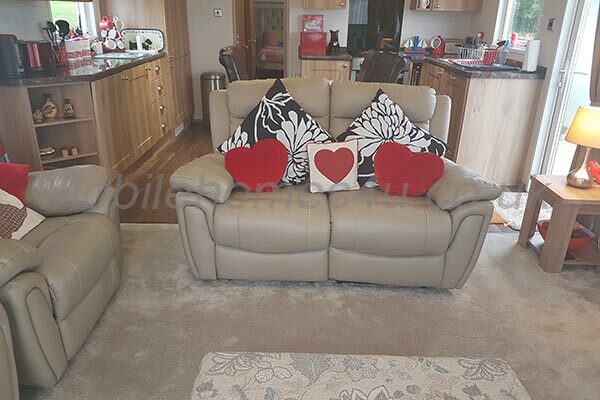 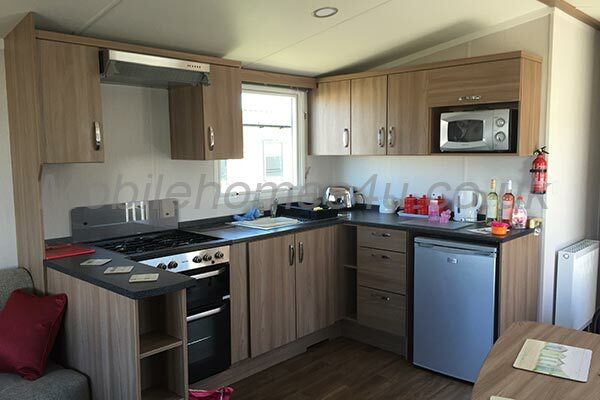 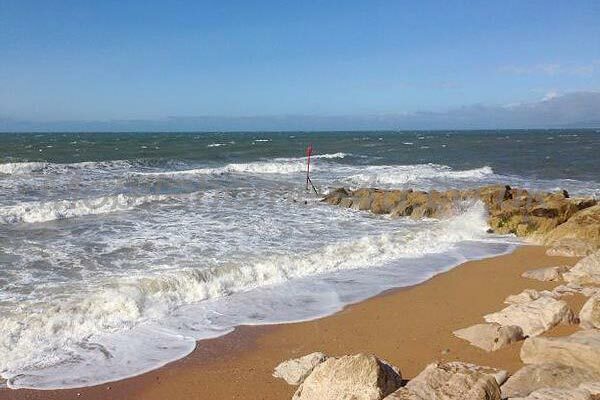 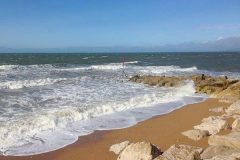 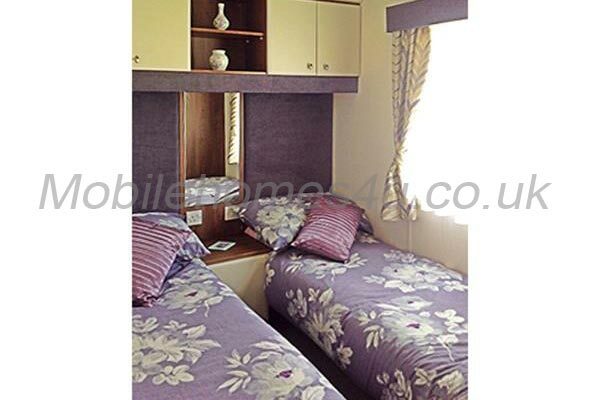 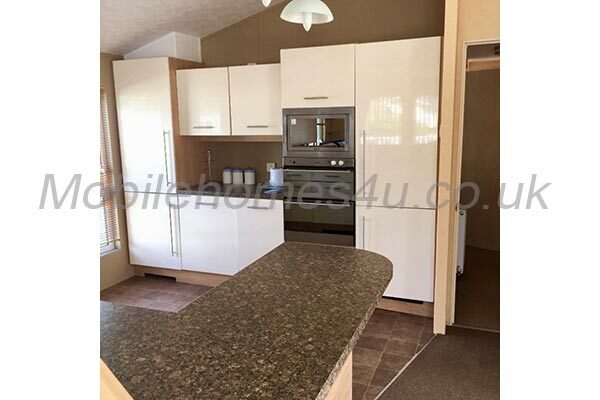 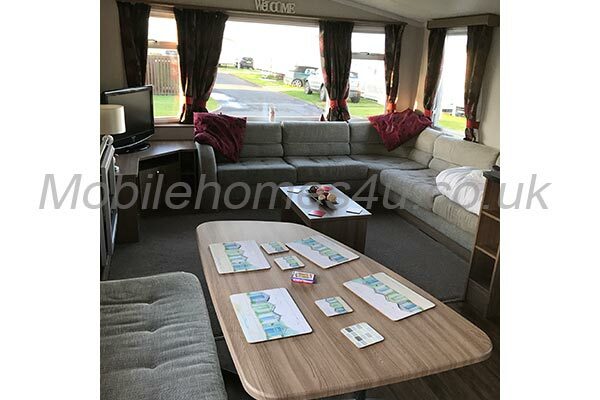 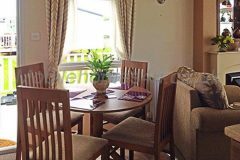 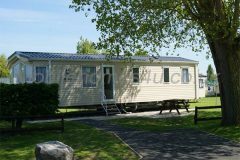 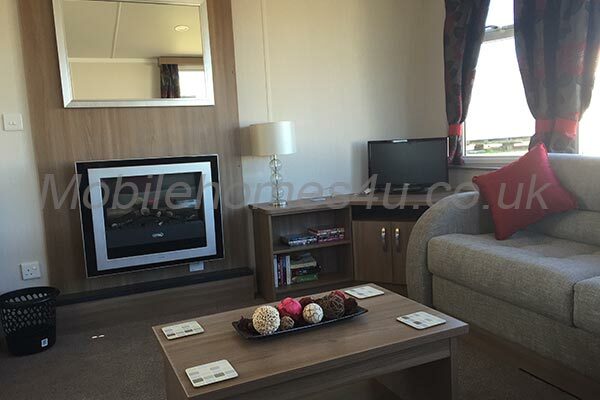 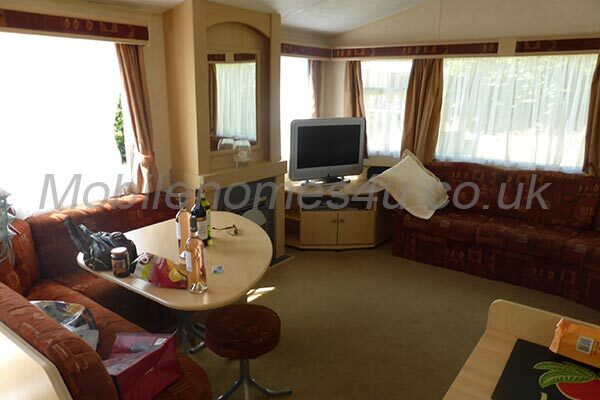 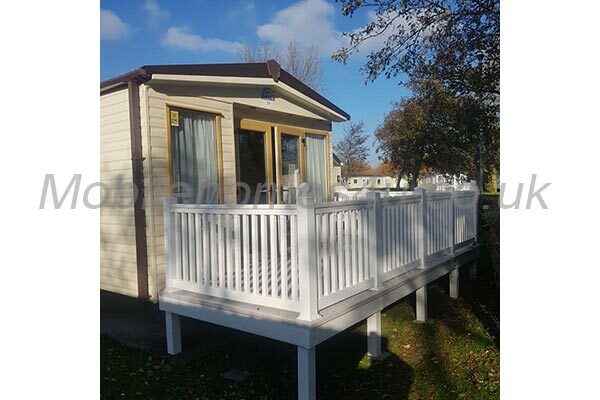 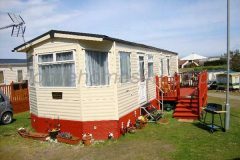 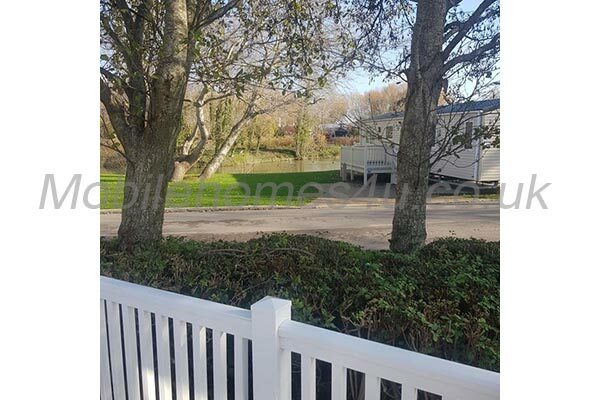 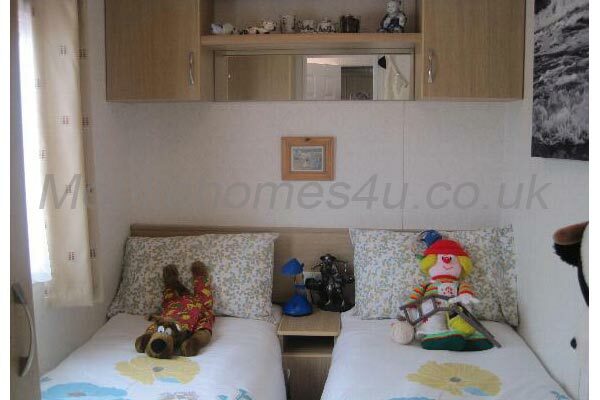 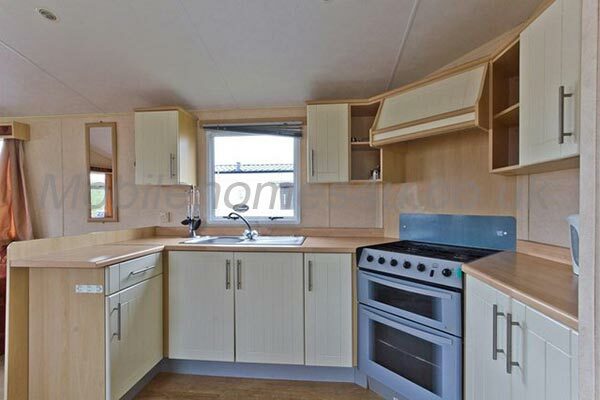 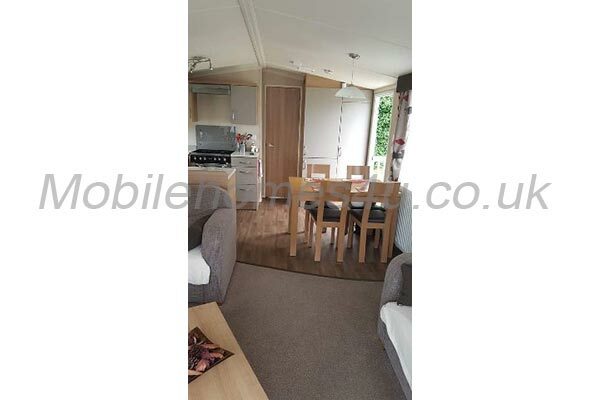 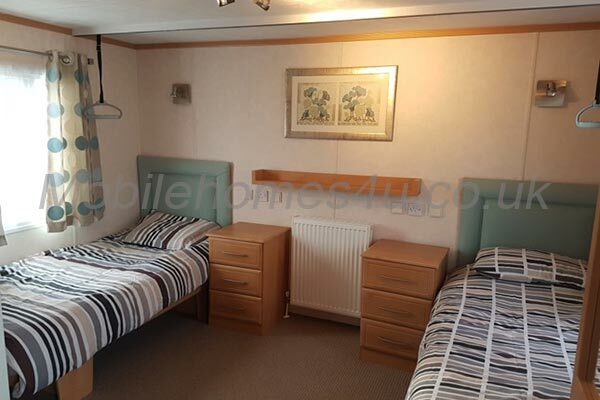 This owners pride and joy caravan is located on West Bay Holiday Park near Bridport, Dorset, It is spacious, comfortable and hi- spec, consisting of 2 bedrooms making 6 berths in total when lounge sofa bed used. 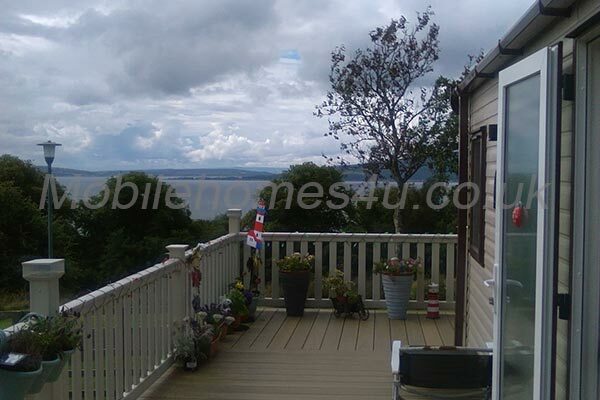 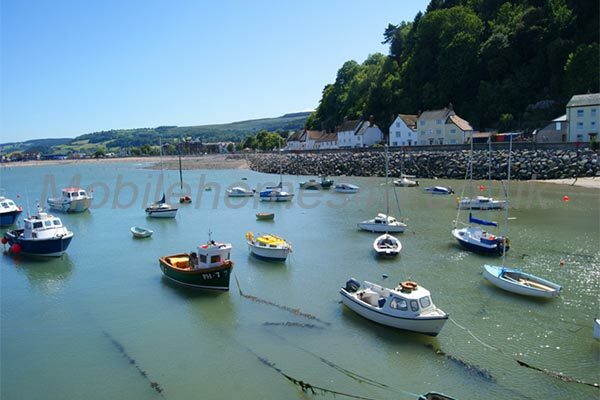 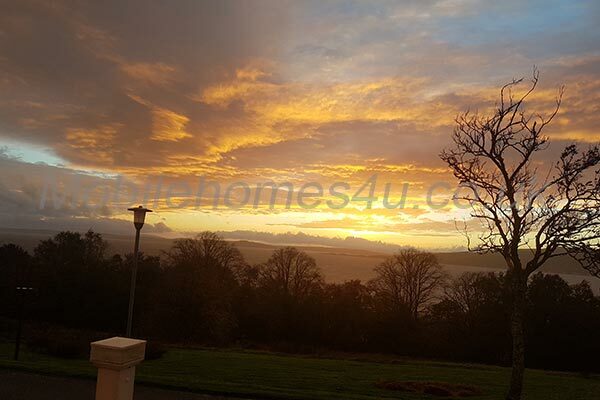 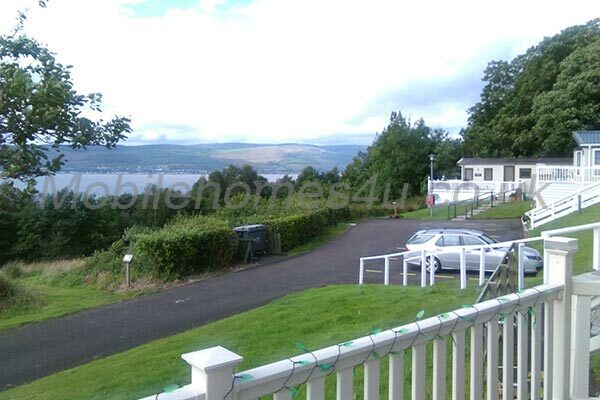 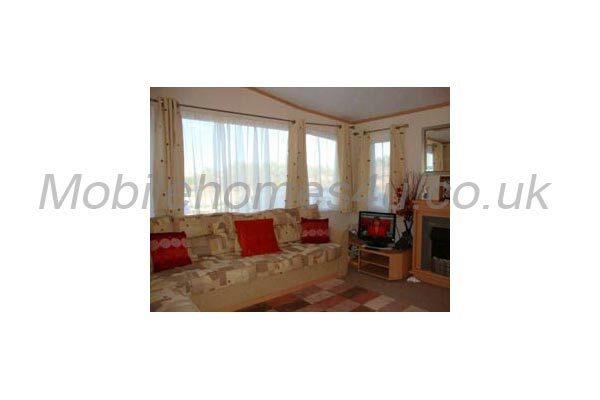 Very convenient large plot in a quiet position on the site. 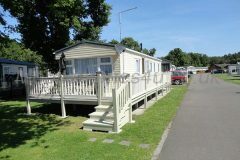 Ample parking right next to caravan on shingle drive. 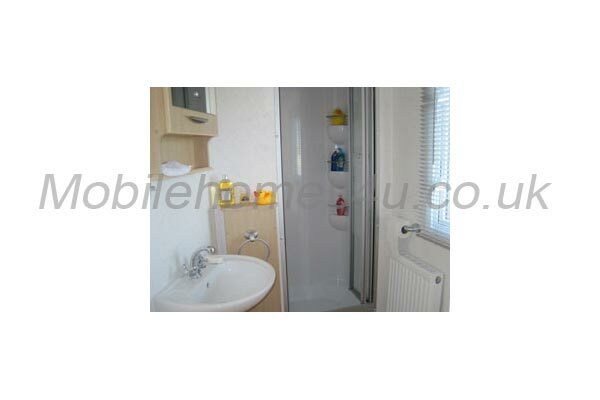 GAS CENTRAL HEATING THROUGHOUT . 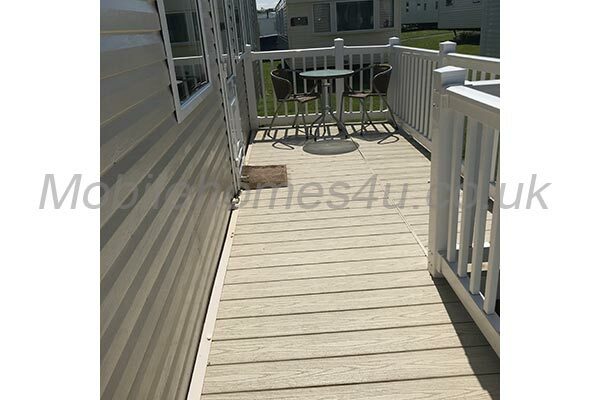 NEW EXTRA LARGE WRAP AROUND GATED SUNBATHING DECKING ,PLEASANTLY SET AMOUNGST FLORAL POTS AND PLANTS WITH SUNLOUNGERS , CHAIRS AND TABLES,UMBRELLA.IDEAL FOR SOAKING UP THE SUNSHINE . 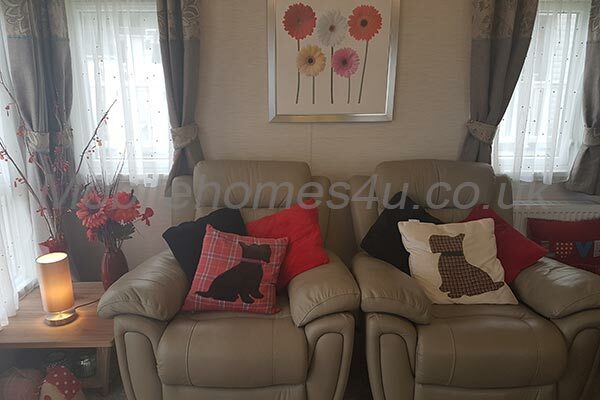 The main living area has a comfortable colour coordinated corner settee seating 4 with two matching free standing armchairs and two footstools. 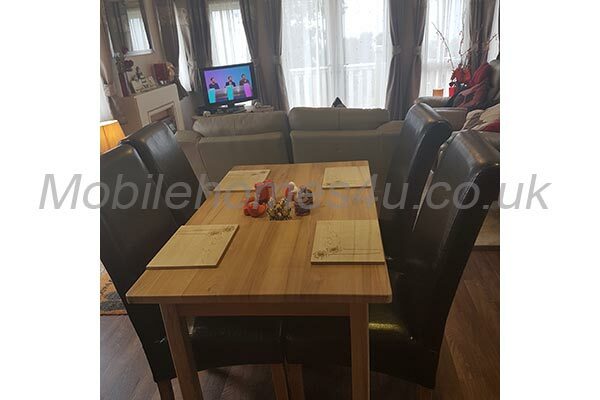 Electric coal effect fireplace with shelving unit , coffee and side tables ,32 inch flat screen TV with free view and separate DVD player. 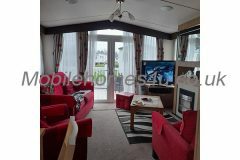 Leading out of the living area are two large aspect opening patio doors leading to front of sun decking. 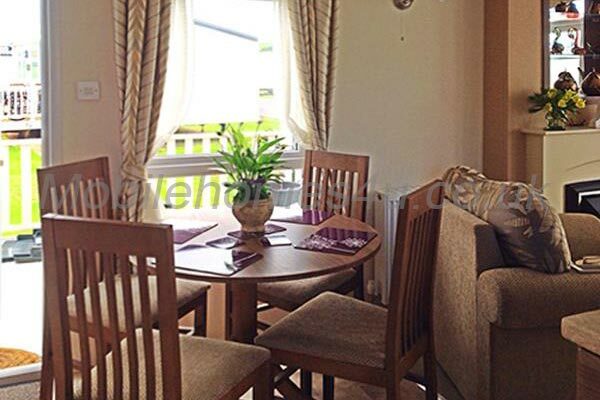 There is also a dining area with a round non fixed table with four dining chairs supplied with place mats, etc. 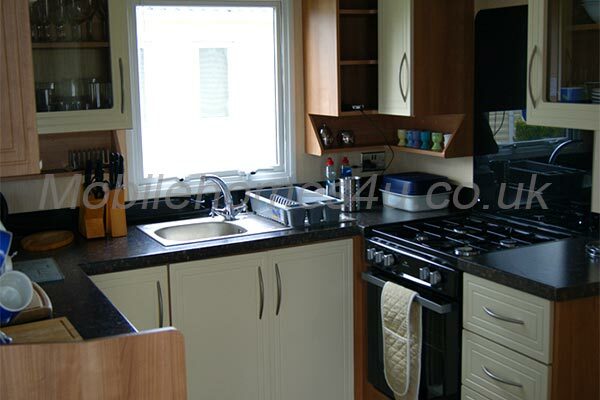 The kitchen is part located opposite to the dining area . 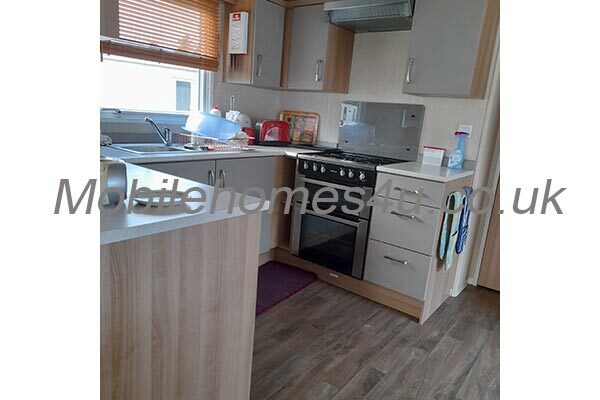 It has an integrated fridge /freezer, large 4 burner gas hob with grill and large oven, extractor fan ,microwave ,toaster and dishwasher. 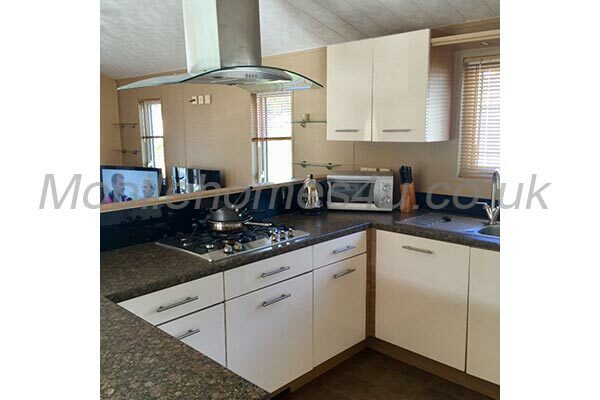 Fully equipped cupboards for all your needs. 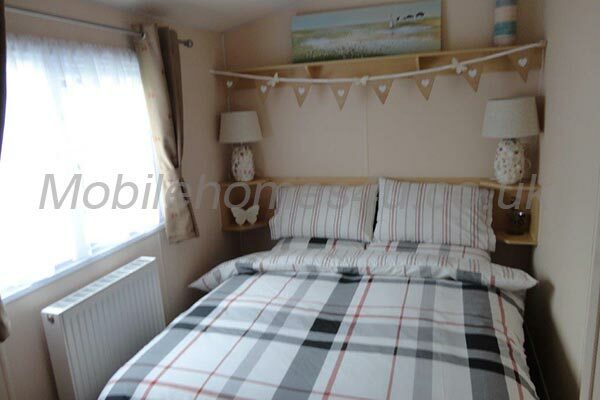 MASTER BEDROOM: situated at the back of the caravan with beautiful floor to ceiling bay window , double bed with two bedside cupboards and overhead storage cupboards, large three door sliding mirrored wardrobe over two cupboards and drawers . 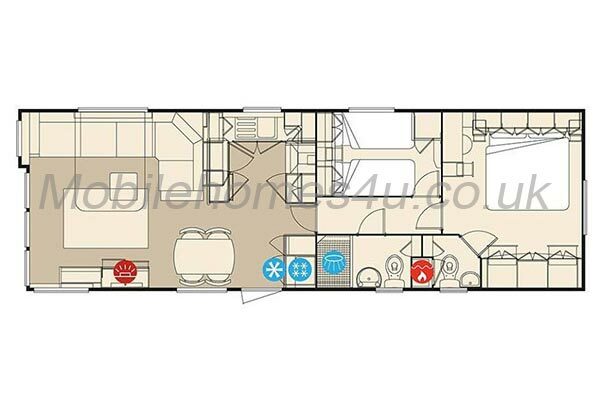 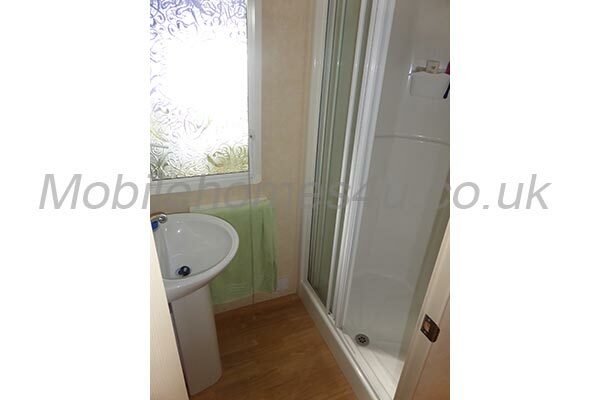 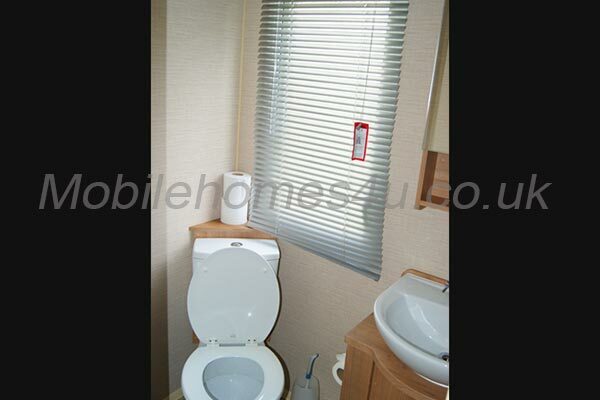 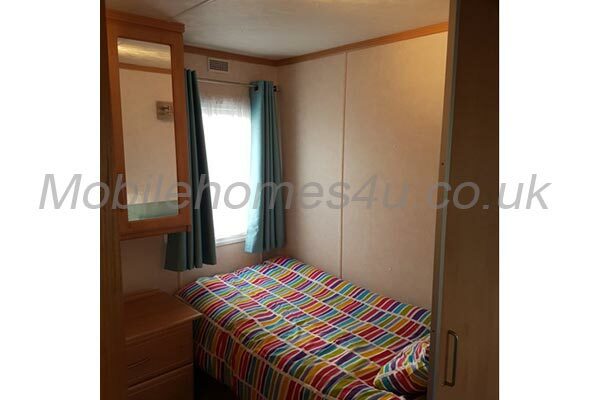 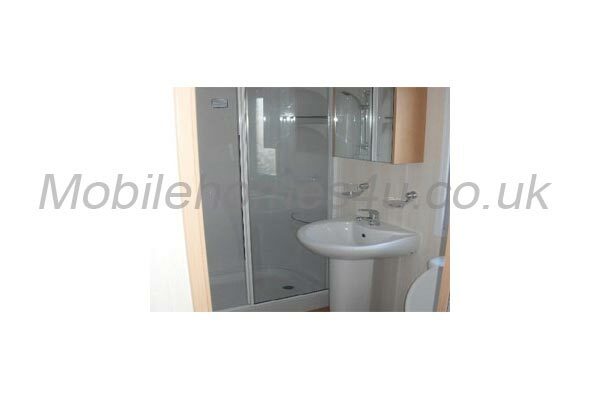 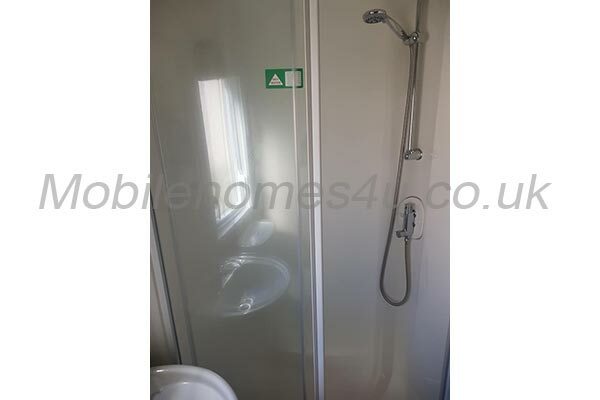 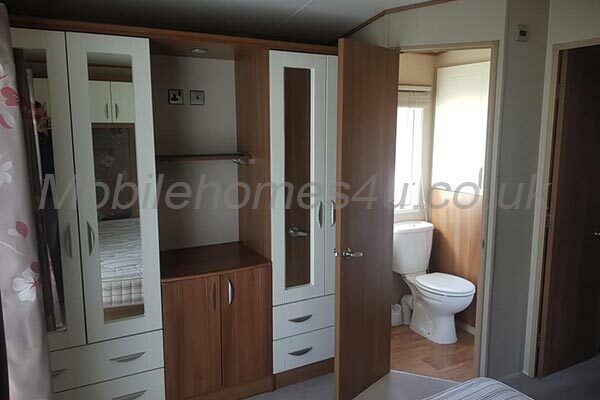 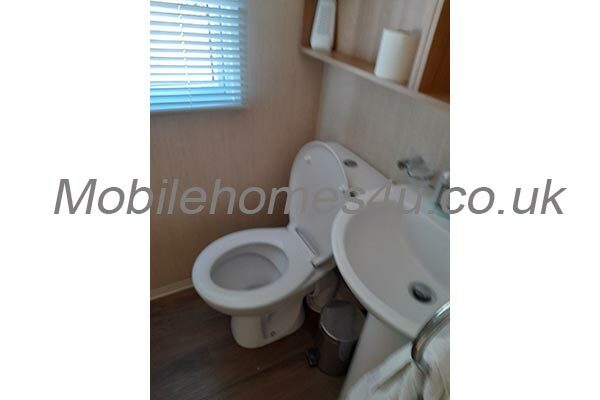 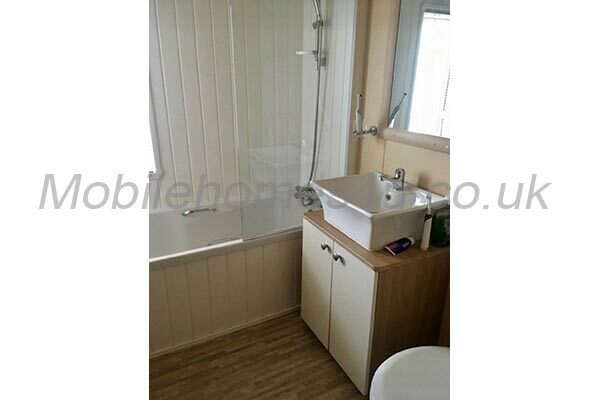 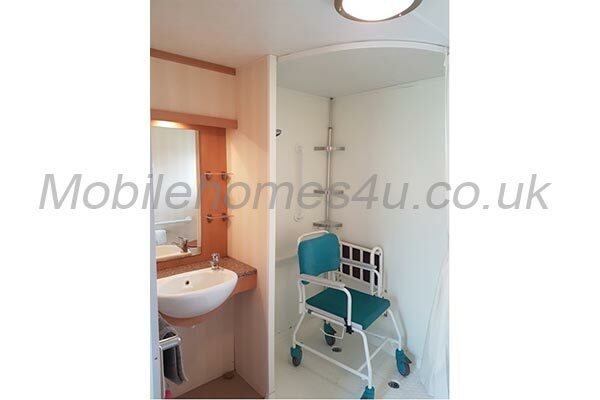 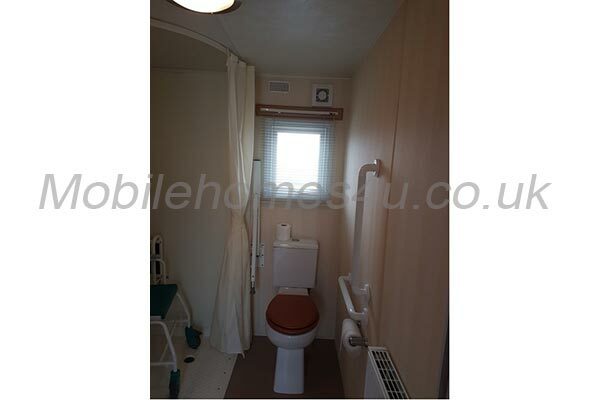 Leading off is it's very own en suite toilet with sink, heated towel rail and mirror. 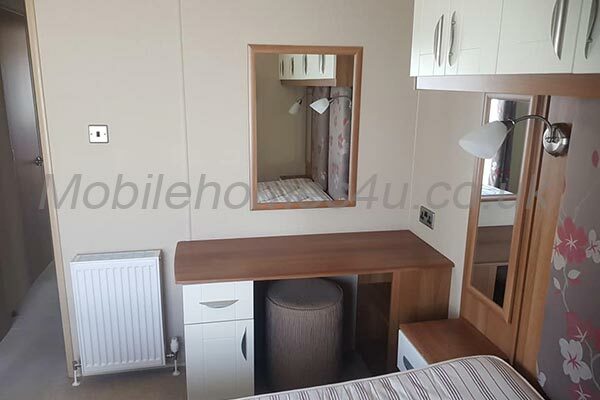 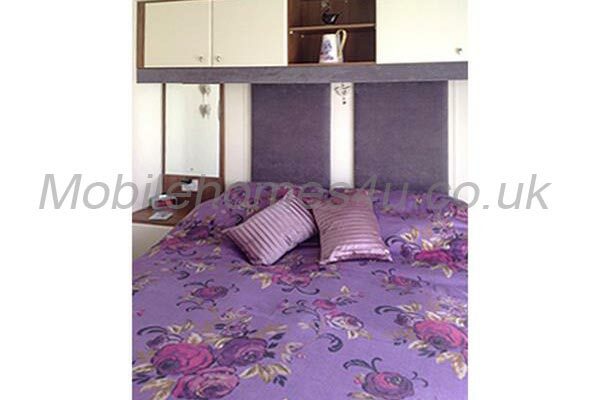 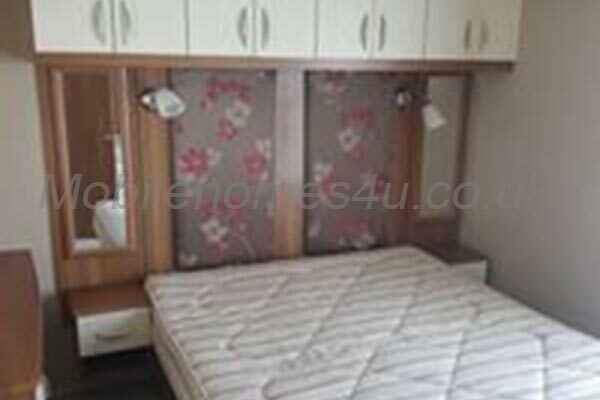 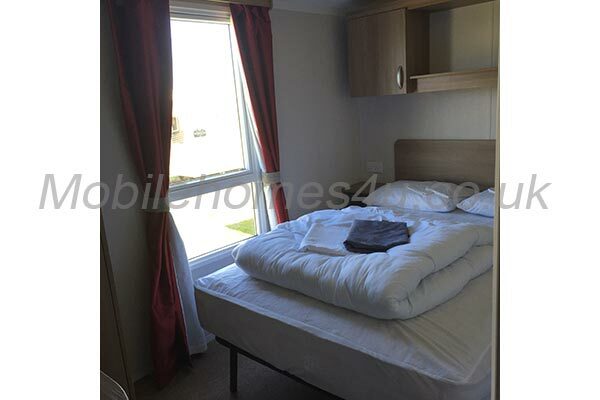 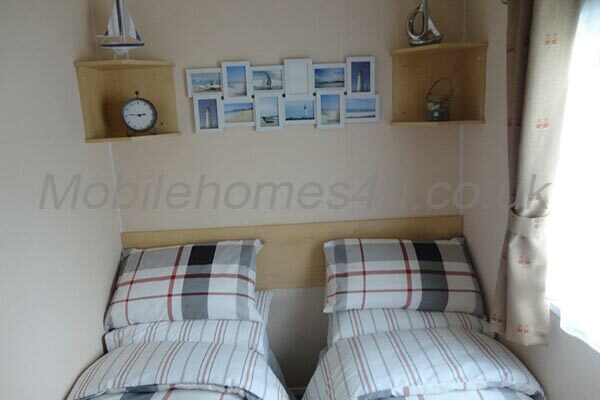 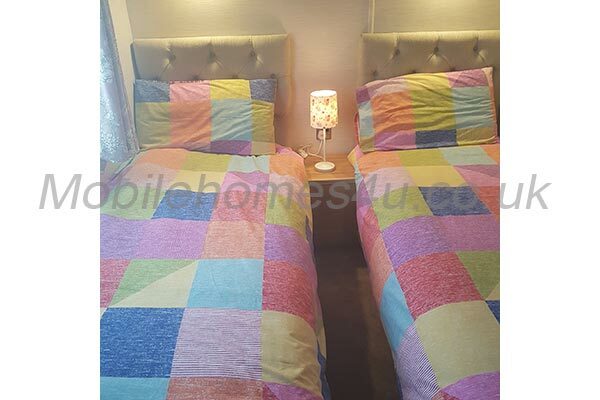 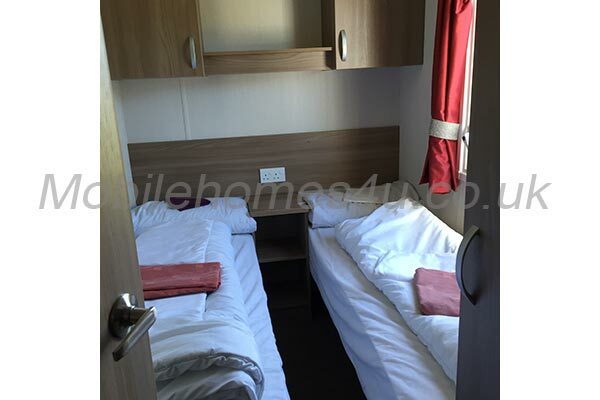 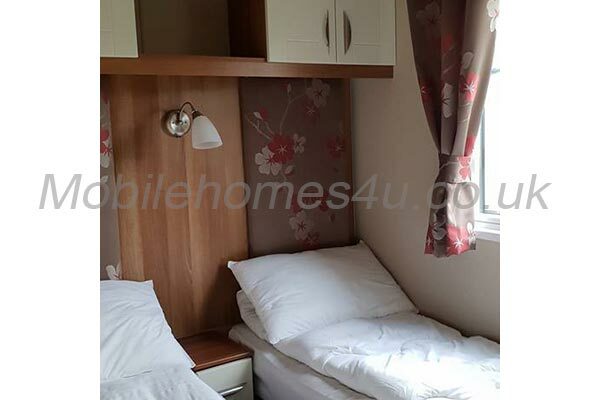 TWIN BEDROOM: consists of the usual two twin beds with centre bedside cabinet and overhead cupboards both sides, wardrobe, draws and mirror area. 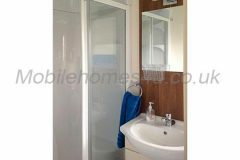 The bathroom consists of double glass fronted sliding doored shower, basin with cupboards and low level toilet, various shelves, heated towel rail and large lighted mirror. 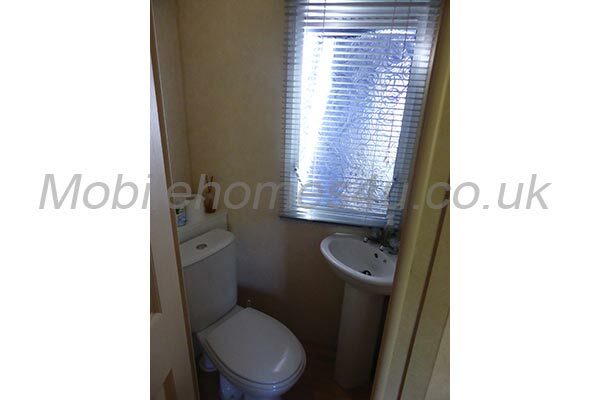 There is also an en suite in master bedroom. 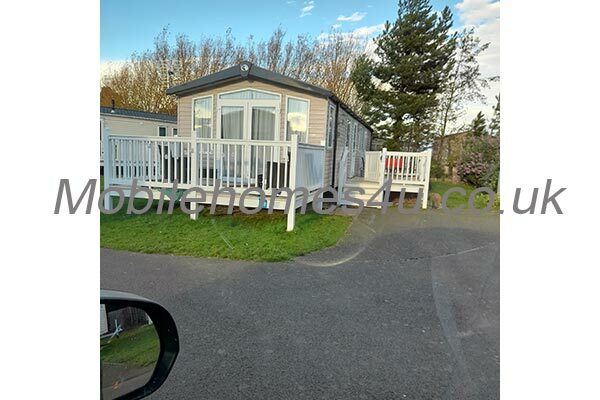 PARKING: next to the caravan is a large gravel driveway and path , with sufficient room to park two cars if needed. 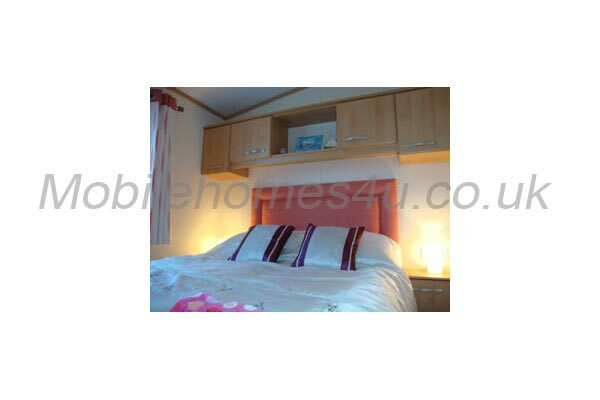 All beds are supplied with either a double or single duvet and pillows . 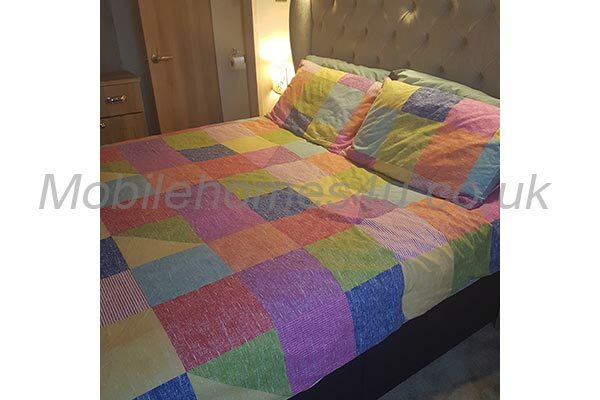 We do request that all guests supply their own bed linen, including duvet covers , pillow cases , sheets , all cot bedding , towels , bath mat and tea towels for their stay. 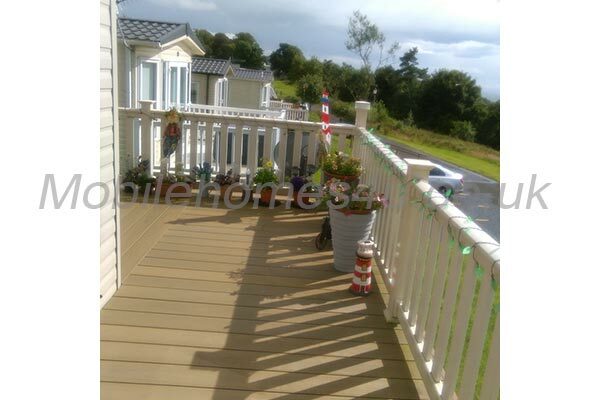 No BBQ on decking . 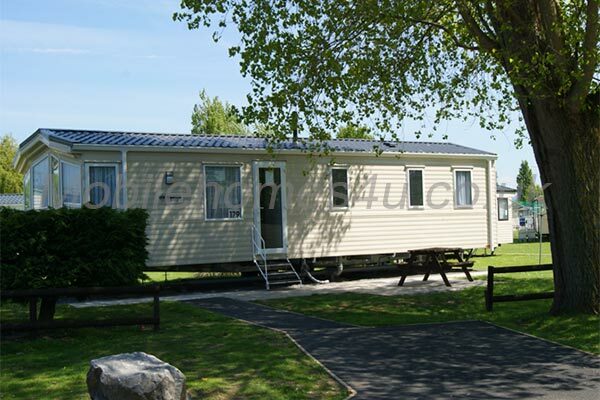 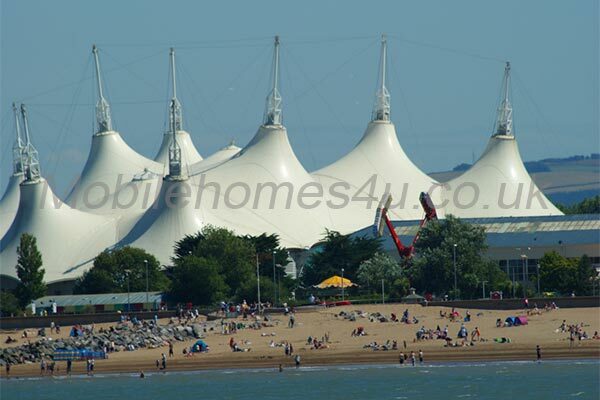 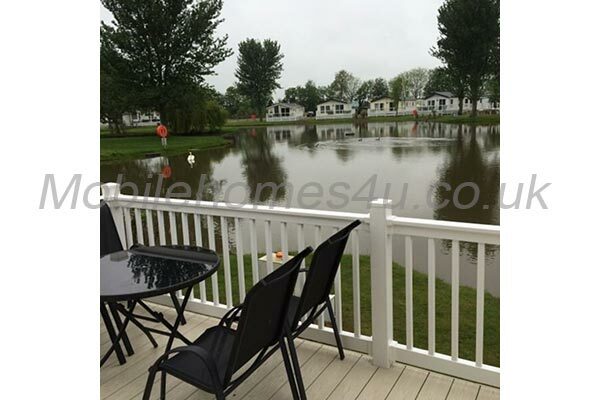 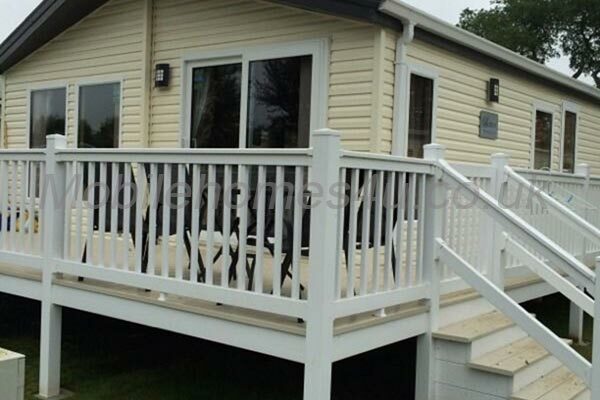 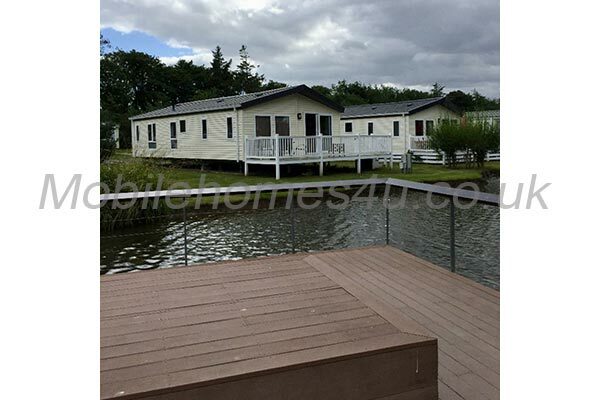 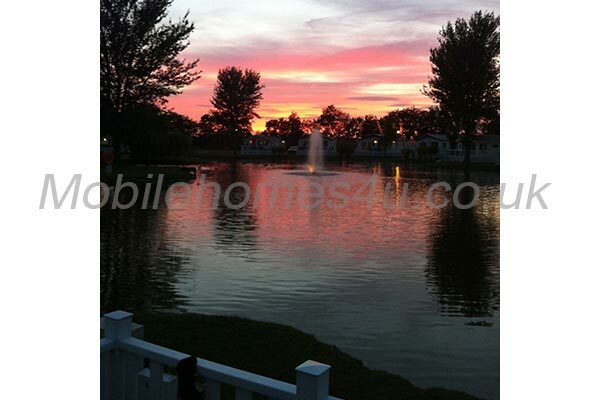 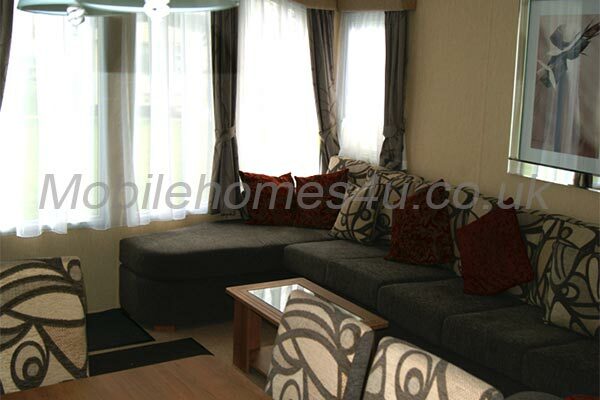 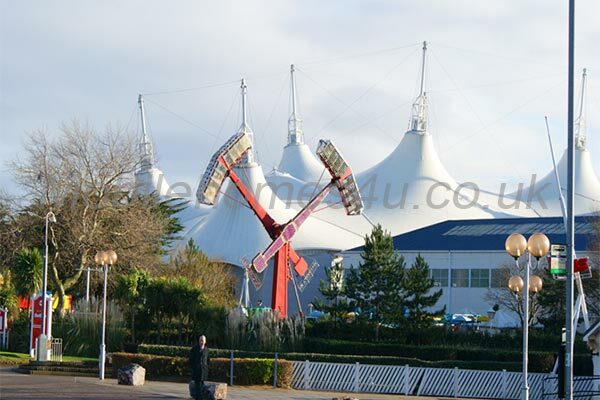 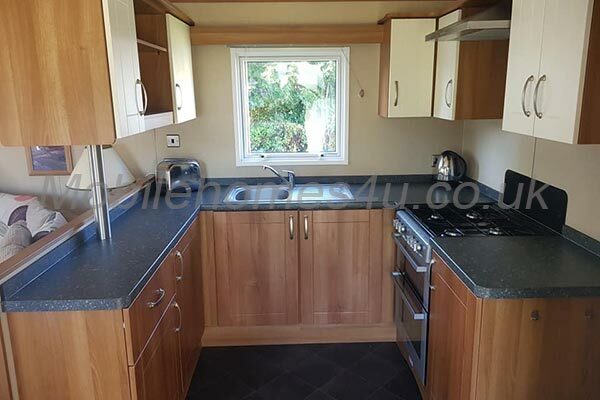 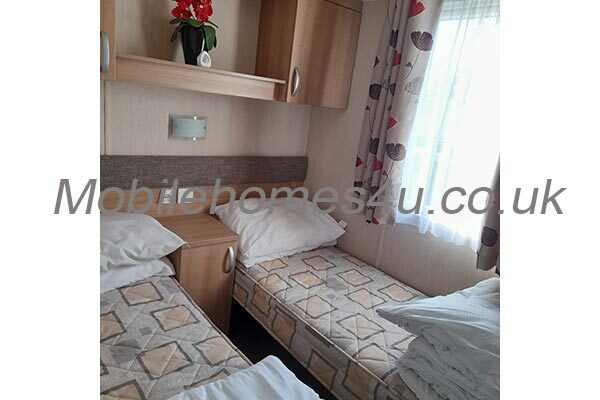 The caravan is checked at regular intervals , by a park site certified contractor. 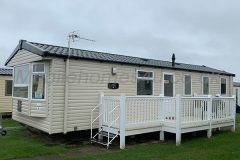 Electric is certified every 3 years. 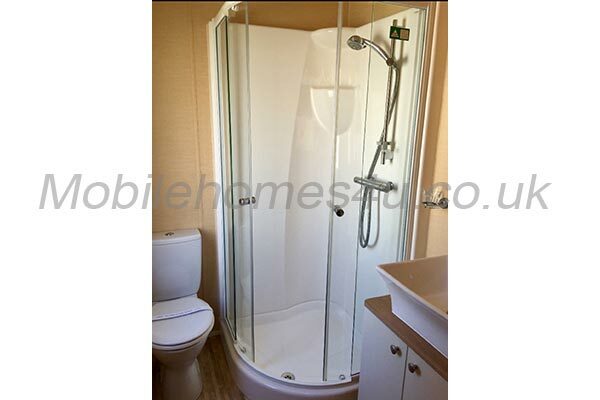 All required electrical items are PAT tested by a certified contractor. 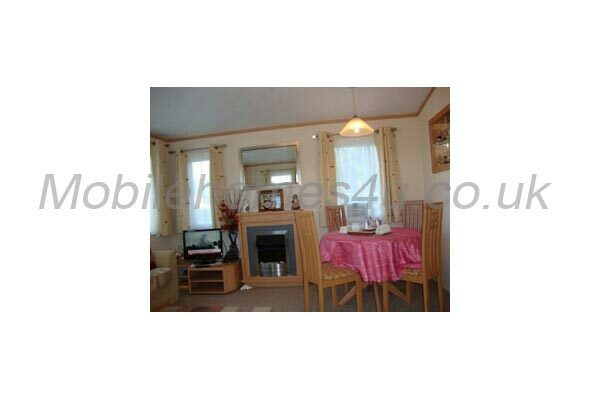 2 x Fire and Carbon Monoxide detectors (checked before letting). 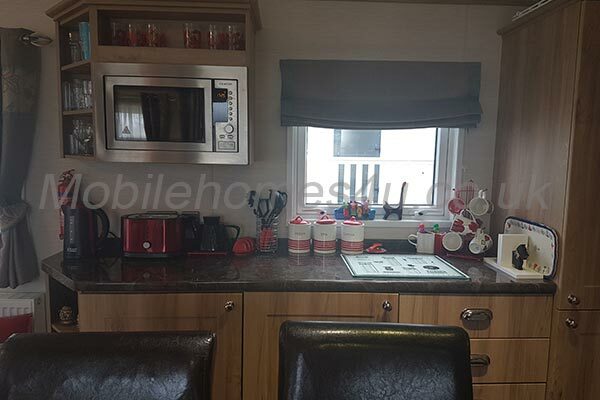 No smoking is permitted within the caravan (ashtray provided for outdoor use only). A £100 deposit along with completed booking form is required per week when you book your holiday (due within 7 days of booking) , the balance is due four weeks prior to your holiday. 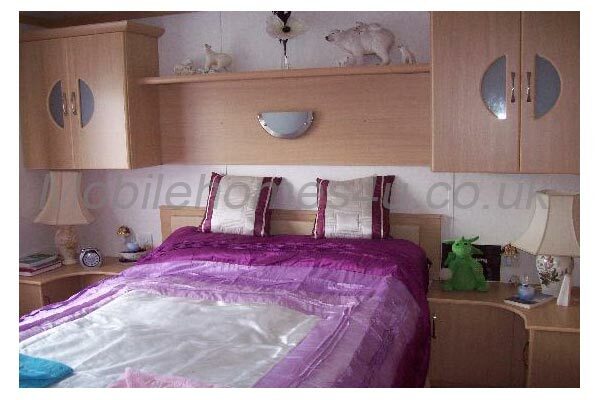 When paying the balance we require a £50 good housekeeping bond . 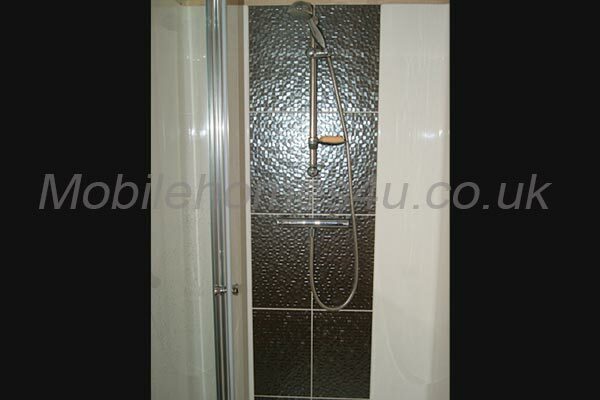 This covers any breakages or additional cleaning . 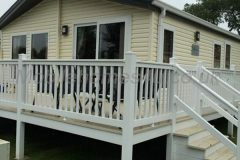 This will be refunded shortly after the end of your holiday once checked. 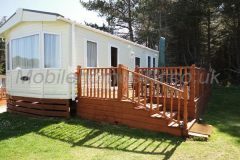 Passes for the site facilities are not included in our prices , but can be purchased on your arrival priced Peak Season £11.00 Off Peak £9.00 per person . 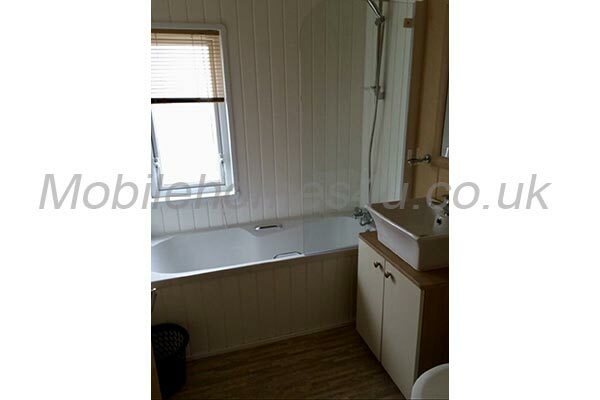 Under 3's are free. 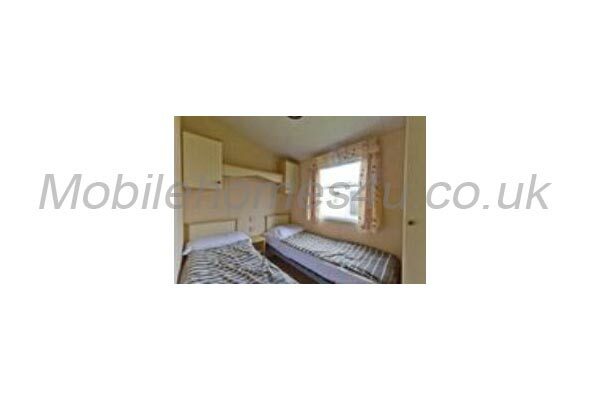 These are per person for the duration of your stay not per night.